One Piece Manga Chapter 827 Spoilers: OPM 827 Predictions; Killer is Sanji’s Brother? In Chapter 826, It was mentioned that Luffy meets Sanji’s brothers, and one of the Sanji’s brothers brings back Luffy to senses with his unknown devil fruit ability. They even ask them to turn the Strawhats to turn back and ask them to go back and ask not to interfere in the wedding. Big Mom’s is after Germa 66’s technology, so she set this wedding of her 35th daughter, Pudding with the 3rd son of the Vinsmokes. Fans at Ora Jackson and Reddit were pouring their thoughts about this new chapter. According to their predictions, Alladin might assist the crew to reach the cake island. Sanji will meet his family and gets informed that his father is waiting for him at the Big Mom’s place. Sanji’s Father and Big Mom are seen discussing the alliance. Pudding is also shown, and she looks disinterest with the entire wedding ceremony. 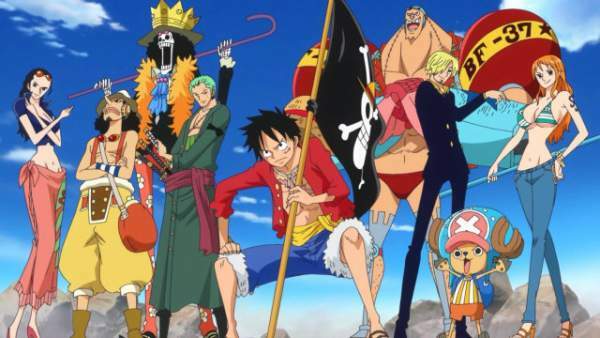 Big Mon asks the crew to look out for Luffy as he is expected to be there. On the other hand, Killer is seen with no mask looking at Sanji’s brother. Most of the users assume Killer to be one of the Sanji’s brother. While some from the Reddit say that Alladin will try to stop Luffy to meet Big Mom as it will be risky. Sanji will also be threatened to go with the flow. From these predictions and Spoilers, it will be tough for the writer, Echiro Oda to show what awaits for us in chapter 827. He must decide and it’s his story. Let’s wait and see. Next articleThe Voice 2016 Winner: Check Who Won Season 10 Finale; When is Season 11 Premiere (Air Date)? One Piece Chapter 881 Spoilers and Release Date: Luffy Found Katakuri’s Weakness?